Many people walk through life not really knowing what their life purpose is. We wear the labels that our teachers, parents, and friends have given us, unconsciously. 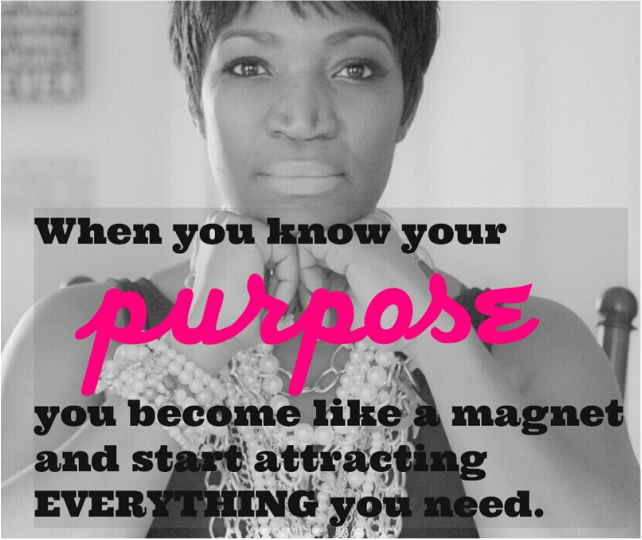 Knowing your purpose is more about what you know and believe about yourself, your skills, and your abilities. When you don't know what you're good at, you live day by day wondering, hoping, and wishing your life gets better by chance. When you live a purposeful life you become more decisive and begin making choices in your life that matter instead of making choices based of off what other people think about you. If when you wake up in the morning and you are not excited about the day ahead of you...chances are you are not living your purpose. When you are living your purpose there is a sense of joy that resides inside of you. Nothing in particular has to be going on in order for you to be and feel happy...you simply know that you are living your life on purpose and that fuels everything else in your life. If you have ever asked yourself, "what am I here for? ", this class will help you determine your life's purpose. Once payment is received you will get your workbook and call-in information sent to your inbox on November 27, 2014!